The goal of Austin Sailboat Rentals is to bring the joy of sailing to both children and adults on easy to operate, full-day and half-day rentals. We offer dinghy sailboats, small day sailors, large day sailors, Sea Skimmers, Catamarans, Hobies, single kayaks, tandem kayaks, glass bottom kayaks, stand-up paddle boards (SUPs), and Aqua Lily Pads. We are located on beautiful Lake Travis. No membership is required. We also provide sailing programs for homeschooled kids, spring and summer sailing camps, private and group sailing lessons, team building and corporate events, birthday parties for both children and adults, glass bottom illuminated kayak night tours, and a whole lot more fun things to do. Check out our booth at Austin Artists Market. Feel the stress drain away with the gentle rocking of the boat and the “sploosh” of the waves against the side. Smell the fresh moist breeze. Listen to the peaceful sounds of nature. Then rela-a-ax … as Captain Nance brings the boat “about” into the beautiful Texas sunset. Is your anniversary coming up soon? What a perfect way to celebrate – with an intimate sail into the sunset! Sail in the shade of the cockpit canopy or “catch some rays” on the deck. See the ducks, sea gulls, turtles, and sometimes an egret or heron. Sit back and rela-a-ax… or take the helm for awhile. Bring your camera, snacks and drinks! Bring your family! Your U.S. Coast Guard licensed Master, Captain Nance, can give you sailing & safety instruction and techniques. An informal lesson can be combined with a charter. One or two people may want to learn about sailing while their friends may want to kick back and relax. Be a Part of the Hottest Sailing Trend in Texas ! If you are looking at Sailboats for sale in Austin, Texas then consider the value of sharing a sailboat. You have no depreciation, you don’t have to put the boat up for sale when you want to upgrade, you have no maintenance costs, it’s less expensive than chartering, your initial investment is very low and with Austin Sailboat Rentals, the impressive new fleet is always ready to sail when you are. 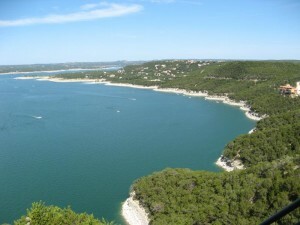 Austin Sailboat Rentals is located on Lake Travis, approximately 25 minutes from Downtown Austin. Our fleet of sailboats including new Hunter 326 sailboats and a new Catalina 22 is docked at the exclusive Paradise Cove Marina just 10 minutes sailing from Ernie’s restaurant. With us, instead of looking endlessly at sailboats for sale you go sailing by sharing new sailboats globally for less than what others spend on slip fees and maintenance alone. 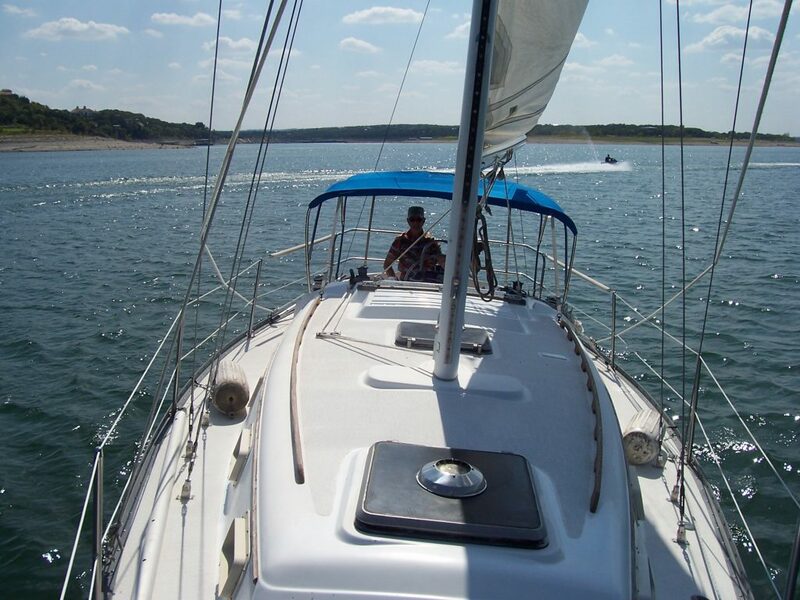 Sailing in Austin on Lake Travis, Texas has never been easier. Other locations also feature luxury cruising sailboats available for sailing enjoyment. We are an American Sailing Association Certified Sailing Training Instructors and hold sailing classes regularly. Are You Thinking of Buying a New Sailboat ? Instead of searching for sailboats for sale, own a new sailboat or put your late model sailboat in our fleet:. If you are thinking of buying a new sailboat, talk to us, we’ll make your bank note, slip and maintenance payments for 6 years. If you have a late model sailboat and are a little tired of the costs associated with owning and before you put your sailboat up for sale, contact us, we may be able make those payments for you. If RAINING or BELOW 50 DEGREES we WILL BE CLOSED and will either reschedule your booked reservation or issue you a full refund. Click on the RENT NOW tab at the top right-hand side of this page to take you to everything we rent, pricing, and making a reservation TODAY! (or) Type a WORD in the search box below to take you directly to the pages that mention the word. Bored Kids? Try Kidventure Summer Camps for some Austin fun. Take a Helicopter tour with Helicopter tours of Texas.